Guys, let’s face it—when it comes to looking our best, we tend to slack. Stop putting grooming on the back-burner and be the hot college guys I know you are. I’m not saying that you should all reevaluate your lives and spend 30 minutes just on shaving or styling your hair, but grooming can really make-or-break your look. With these five simple tips, you can look your best without breaking the bank. Here’s to you, modern gentleman. Let’s start with the basics: Get a haircut, regularly. There’s always that guy in your dorm that offers the “cheapest of cheap” haircuts, but for a little extra money and time, you can get a professional cut from a barber or stylist. Always aim to get your haircut during the weekend so that you feel refreshed for the next week of classes. By the time the next weekend rolls around, your hair will be in that perfect “in-between cuts” phase and ready for whatever the weekend has in store. A classic barber-cut will range in cost, but I spend no more than $26 after the tip. After becoming a regular at a barbershop or salon, you don’t have to worry about someone messing your hair up. Personally, I try and get a trim every four to five weeks from my local barber. I know that it sounds like a lot of money, but it really won’t hurt your wallet in the long run. Guys, hairdryers have changed my life and I want it to change yours. A hairdryer is just as important for styling your hair as is any hair product. After talking with Andrew Kozak, a highly-praised barber and hair educator with over 130,000 followers on Instagram, I decided to invest in the Super Solano hairdryer from Ulta. It provided a “James Dean” amount of volume to my very uncooperative thin hair. After you buy your new best friend, watch a few YouTube tutorials on how to optimize the combination of a hairdryer and hair products recommended for your hair texture. Try a few different hair products, too, like a matte paste or putty, and see what works best with the “hot college guy look” you’re trying to achieve. 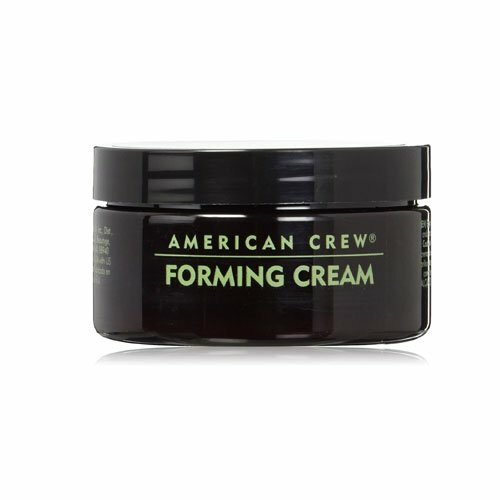 Marcel Floruss, a model and style blogger with over 320,000 Instagram followers, said his favorite hair products are from American Crew; most of their products will range from $10 to $15—pretty affordable for someone on a college budget. Your hair is specific to you. Only you can make it cooperate with some tough love from your hairdryer. Drop the prepubescent smell of Axe Body Spray and upgrade immediately. Go to Nordstrom or Sephora (yes, I said Sephora), and pick out a few samples that smell right with your personal scent. Try each out for a week at a time and see how other people react to them, but if you like it, use it. Don’t let others dictate what you smell like on a day-to-day basis. Spray it just once or twice about eight inches away from your body, then walk through it. A couple of my personal favorites are Aqua Di Gio by Giorgio Armani and Prada Luna Rossa by Prada. They’ll range from $60 to $80 on Amazon, but a 3.4-ounce bottle will last you one or two years, so it’s worth the investment. Smelling great makes a huge difference, trust me. You’ll be that hot college guy that girls just can’t get enough of. Taking care of your face is not as much of a hassle as you might think. There are a few things that you should do in your routine to keep your face looking great. Acne treatment is one of them. I asked Alex Salcedo, a model and style blogger with over 80,000 followers on Instagram, what product he recommended and he suggested checking out a regimen from acne.org. “Not only does the acne regimen help battle acne, along with acne scars, it also helps keep your face fresh and looking its best,” Salcedo said. But if you aren’t into the whole regimen thing, try out Harry’s Daily Face Wash which you can find at your local Target. If you’re clean shaven, like myself, then you need the proper tools and know-how to do so. Pick a tool, whether it’s an electric razor like the Philips Norelco or a classic razor by Dollar Shave Club. Electric razors can be pricey, but they do the job faster. 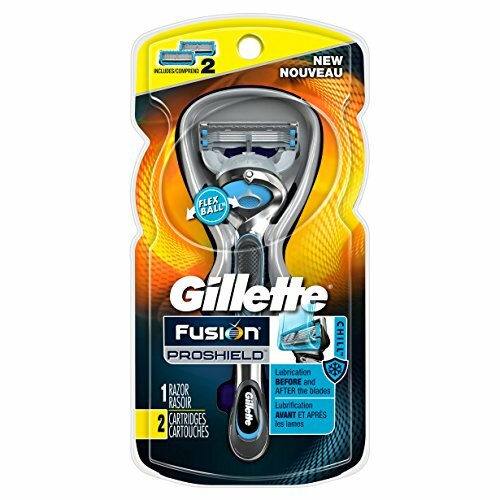 Classic razors are cheaper and can lead to less nicks and bumps. Lather in some pre-shave oil or lotion and take a good amount of time to really man-scape your face. I know a lot of guys who do this within one or two minutes, but shaving your face quickly can leave you with nasty cuts and irritated skin—the complete opposite of a hot college guy. After you shave, splash your face with cold water like you’re in a Neutrogena commercial and moisturize to keep your skin fresh throughout the rest of the day. Moti Ankari, a model and style blogger who has over 155,000 followers on Instagram, said his “go to” is the Age Defender Facial Moisturizer by Kiehl’s, but you can also head to everyone’s favorite store Target and spend a college friendly $8 on Post Shave Balm by Harry’s. Your face will thank you. This is for those guys nearing “lumber sexual.” Instead of being that dude who looks like he just came out of the wilderness with an untrimmed hedge on his face, shape your beard carefully and keep it fresh. A well-kept beard and mustache goes a long way and can singlehandedly make or break your look. Invest in mustache wax and beard oil by Jack Black (not the actor) to make them impeccable. Everyone will be envious of your dashing good looks and your ability to “pull something off” that many others can’t—like a man-bun, but that’s a topic that needs its own article. Apply the beard oil generously. It’ll keep your beard soft while hydrating your skin at the same time. As for the mustache wax, try a small amount to keep your mustache tamed and shaped. Now look in the mirror and try not be overwhelmed by the difference. David is a senior graphic design major at Walla Walla University in Washington State. He enjoys men's fashion, coffee, and anything aesthetically pleasing. Tattoos in the Workplace: Deal or No Deal?